Show support for your favorite team or player with a high quality full color photo! 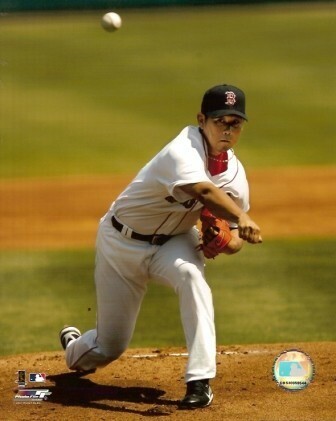 This 8x10 features Rex Sox superstar Daisuke Matsuzaka making his first Major League pitch, and will look great displayed in any fan's home or office. Check out related items below to add a wood plaque with acrylic cover to display this great picture, or have it professionally framed and matted by Collectibles of the Game. Many other players available, order up to ten (10) 8x10s and pay one price for shipping!